For a time, it looked as though this day would never come. 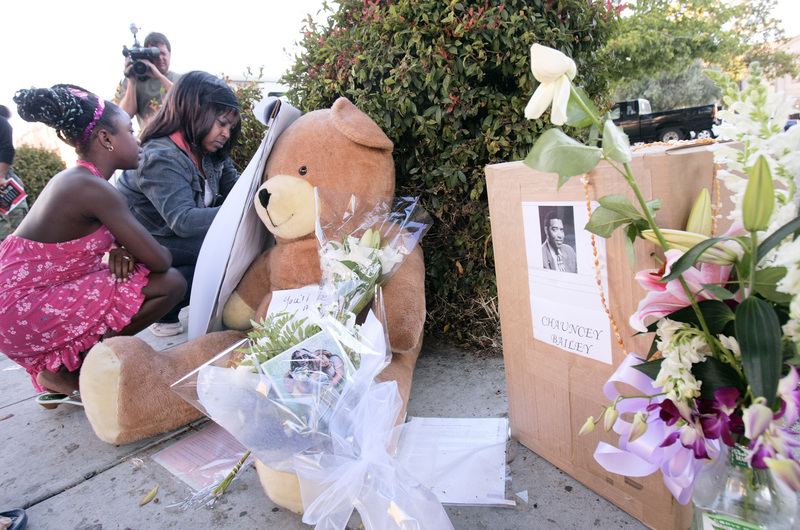 It appeared that the brazen Aug. 2, 2007, shooting of journalist Chauncey Bailey in downtown Oakland would go the way of so many other unsolved murders in a city where it often seems no one is held accountable. Your Black Muslim Bakery leader Yusuf Bey IV was widely suspected of ordering Bailey killed to prevent the 57-year-old Oakland Post editor from publishing a story about the bakery’s troubled finances. Yet Bey and accused accomplice Antoine Mackey were not charged with the killing until April 2009. For Bailey’s family, friends and colleagues, the wheels of justice turned painfully slow. But on Thursday, nearly four years after the shooting, a jury convicted Bey and Mackey of murdering Bailey. Both will face mandatory life sentences in prison without the possibility of parole. The jury of seven women and five men spent nine weeks listening to more than 75 witnesses and often-conflicting testimony. In the end, they believed the erratic account of the triggerman, former bakery member Devaughndre Broussard, that he killed the journalist with Mackey’s help — and on Bey’s orders. Broussard was given a plea deal in exchange for his testimony and will get a 25-year sentence rather than life. Bailey’s killing made international news because he was the first journalist killed in the United States since 1976, when Don Bolles of The Arizona Republic was murdered in a car-bombing by criminal gambling interests. As journalists, we took Bailey’s murder personally. He was killed while working on a story on behalf of the public. Anytime a reporter is killed, it is a threat to democracy. This newspaper was part of a coalition of journalists — which came to be known as The Chauncey Bailey Project — that vowed not to let the slaying of their colleague become another unsolved murder statistic. Were it not for the reporters’ dogged parallel investigation of the events leading up to and following the killing, it is fair to say that we would not be where we are today. The Chauncey Bailey Project cast a spotlight on the cozy relationship between the bakery and top Oakland elected officials who for decades continued to give active support to the Beys despite evidence of their well-known criminal dealings. The journalists unearthed problems with the police investigation and found new evidence that kept the heat on authorities, who at times seemed to lack the aggressiveness needed to build a solid case. The team of reporters wanted to send a message that you can’t kill a story by silencing the messenger. They wanted to keep the spotlight on the investigation until Bailey’s murderers were brought to justice. The guilty verdicts are a vindication of their work. As gratified as we are by the outcome, we are dismayed that Bey was not prosecuted long before he killed Bailey. By August 2007, police already suspected him of killing two people, kidnapping two women and torturing one of them. It was no secret — praise from elected officials notwithstanding — that the bakery was a menace to society. It should not have taken Bailey’s murder before authorities finally got serious about going after Bey. We should care about the lives of every individual who gets murdered, not just the journalists or other prominent individuals among us. Because of the Bailey case, the jury also convicted Bey of murdering two other men, Odell Roberson and Michael Wills, and Mackey of murder in the Wills case. 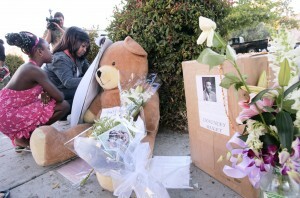 The sad thing is, had Bey not killed Bailey, there may have never been justice in the other two cases. There are too many cases that go unsolved. Let this verdict be not only a call for protecting journalists, but a demand for justice for the entire community. Let this be not merely an end of a trial, but a beginning of a new era in curbing terror and violence.